Pete Anthony is one of the busiest orchestrator/conductors in the Los Angeles film industry. 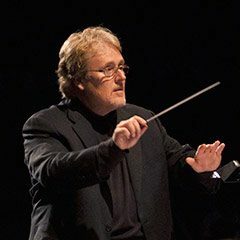 In his 25-plus years in the business, he has worked on over 400 feature films with Hollywood’s top composers, including James Newton Howard, Danny Elfman, John Powell, Marco Beltrami, Marc Shaiman, John Debney, Theodore Shapiro and Christopher Young (The Sixth Sense, Spider-Man I-III, Terminator 3, South Park, Predators, The Devil Wears Prada, Wonder Boys, and Men in Black III, amongst others). Anthony brings to his job an intuition for the art of orchestration, an enormous respect for his musician colleagues, and a spirit of collaboration with composers and filmmakers. He is known for his discerning ear and quick wit on the podium. Anthony also composes music for film and the concert hall, with works performed by the Cincinnati Pops and the Los Angeles Philharmonic.